The seven areas that have the most impact on performance drivers such as close-rates, cycle-times, deal sizes, margins, etc. 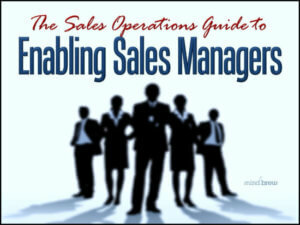 Most B2B sales organizations are talking a good game about value selling. But beyond the talk, are they taking the right steps to make value selling a reality? In this expert interview, Julie Thomas discusses what it really takes to sell on value and generate significant results. In this interview with Debbie Qaqish, we explore why marketing automation is becoming so popular and what the long-term implications are. Your marketing materials are often the first things prospect see. Learn how to identify and avoid five marketing communication mistakes that can damage your value before the sales rep even get a chance.